Today, I wanted to show off this adorable dress from Ever-Pretty. Super cute and flirty. This is an outfit that I plan on wearing on some fun date nights in the future! Absolutely beautiful in every way! When it comes to dresses I can be pretty picky, if it’s itchy or uncomfortable I will rarely wear it. However, this dress is comfortable and absolutely beautiful. The dress is called, Alisa Pan Sleeveless Tea Length Ballerina Dress. 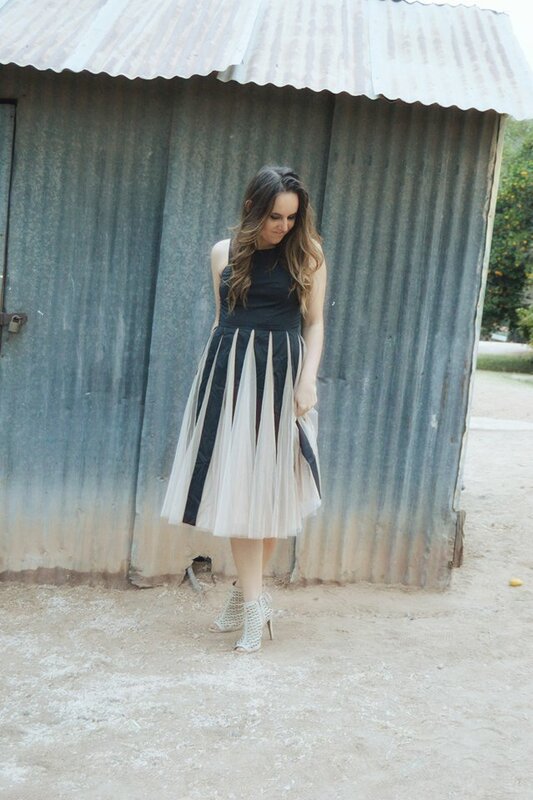 You can find this dress and more at Ever Pretty. I absolutely love how well this dress fit! The top is a real soft feel and the bottom has a tulle feel to it on the outside, but the inside is lined with the same material as the top to make the dress comfortable for all day wear. When you buy clothes online, there is always a chance that they won’t fit you perfectly, but let me tell you this dress fit like a glove! I would give Ever Pretty the highest recommendation after this review! Fast shipping, great return policy, and excellent material for your money! Check out Ever Pretty for more gorgeous high-quality dresses! You are so sweet! Thank you so much! Not famous, just a fun hobby!